London - A governance expert fired by FIFA on Wednesday accused the leadership of world football's governing body of interfering with his work, ignoring rules and removing him in order to stay in power. 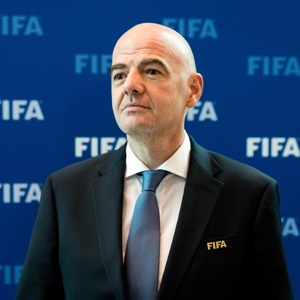 Speaking to MPs on Britain's Digital, Culture, Media and Sport Committee, Miguel Maduro gave a devastating indictment of FIFA president Gianni Infantino's commitment to reform and said only "external pressure" would force the organisation to change. Appointed as chairman of FIFA's governance committee in May 2016, the Portuguese academic was replaced, without warning, 11 months later after falling out with Infantino over several "sensitive" decisions. Foremost among those was Maduro's refusal to allow Russian Deputy Prime Minister Vitaly Mutko to stand for a seat on FIFA's council because it was a clear breach of the rules against governmental interference in football. Maduro told the MPs when he raised objections to Mutko's candidacy, Infantino made his opposition "very clear". According to Maduro, Infantino said blocking Mutko would have a negative impact on the 2018 World Cup in Russia and he believed there was "no evidence" the former Russian sports minister had been involved in the state-sponsored doping programme revealed by a World Anti-Doping Agency investigation last year. Maduro was blocking Mutko for the reason that having a deputy prime minister on the council undermined FIFA's actions against some associations for political interference. Maduro described Infantino as a man who he believes started with the intention of tackling an "embedded culture" that is "extremely resistant to independent scrutiny" but who has chosen "to survive politically". Infantino replaced the disgraced Sepp Blatter as FIFA boss in 2016, vowing to lead the scandal-tainted body into a new era. Former Portuguese minister for regional development Maduro said the "systemic culture" comes "from the ground up" and there are associations and confederations that do not understand what good governance looks like or why it is even desirable. "FIFA is a system of rules without the rule of law," he explained. Maduro said he was more than happy to take advantage of parliamentary privilege, which provides protection from legal action in British courts, to speak freely about FIFA, as there was an obvious "public interest" defence.